Home / Blog / What are leaf guards? Avoid future gutter replacement costs caused by gutter blockage. Protect your gutters and invest in a reliable leaf guard today. 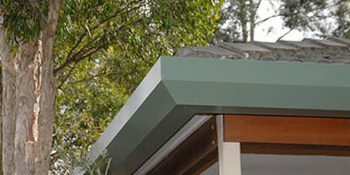 Easy Fall Guttering Sydney company provides solutions to all of your leaking gutters, including our ember and leaf guard Sydney products. 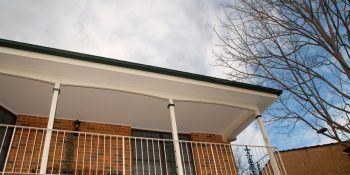 For more information about how our guttering system works, call us on 1800 897 444 and request a free quote today. Your home is your most valuable investment and protecting it should be one of your top priorities. One of the ways you can do so is to ensure that your gutters are working properly. Your gutters play a huge role in maintaining the structural integrity of your home. Gutters guide rainwater away from your roof and walls and into the drain, protecting your home from water damage. Without proper maintenance, your gutter may not perform its function properly. Leaves and other debris may build up inside and block rainfall. If you haven’t experienced it yet, having clogged house gutters is one of the worse problems you can experience as a homeowner. Fortunately, you can prevent this from happening by using leaf guards. 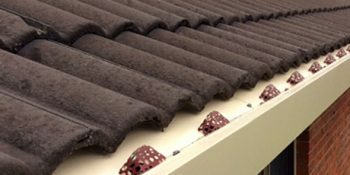 Leaf guards are attachments that are fitted to your existing gutter that covers and protects it from leaves, dirt and other debris that may build up and cause clogging. Brush Leaf Guards are made with bristles that look like pipe cleaners placed upright on your gutter. The bristles collect leaves and debris while water flows underneath. Screen Leaf Guards are made with metal sheets with large holes that are are relatively easy to install. Reverse Curve Leaf Guards are designed to use rainwater’s surface tension and guides it through a curve into the gutter. Mesh Leaf Guards are made with a metal sheet with very tiny holes that let water pass through while keeping smaller debris out. What are the pros & cons of using Leaf Guards? Gutter maintenance can take a lot of your time. With leaf guards, the number of times you have to perform gutter maintenance is decreased. However, don’t presume that installing leaf guards would make your gutter maintenance free. Debris will build up on top of your leaf guards over time. Some leaf guard systems may have faster build up than others. For instance, brush leaf guards and screen leaf guards may still let smaller debris pass through causing build up in your gutter eventually. Reverse curve leaf guards may still lead a build up in their openings and may even let pests to create their nests in your gutters. Foam leaf guards can pick up seeds that can actually grow at the top of your gutters, potentially affecting the structural integrity of your home. Your choice of a leaf guard system depends on your situation so choose wisely! Our team at Easy Fall Guttering knows the time it can takes maintaining your guttering. That is why we have created a new leaf guard system designed to significantly minimise the hassle of cleaning your gutters. The Easy Fall Leaf & Ember Guard system uses our Easy Fall design that easily lets rainwater in while keeping leaves and other debris from clogging your gutters. The shallow dish lets wind assist in removing leaves while the higher back edge prevents gutter flooding. What’s even better is we can adapt our system to any type of guttering. Stop suffering from poorly designed leaf gutter guards. For a reliable leaf guard, Sydney’s number one choice is the Easy Fall Leaf & Ember Guard System. For more information about our leaf guard gutters system, call us on 1800 897 444 and request a free quote today.